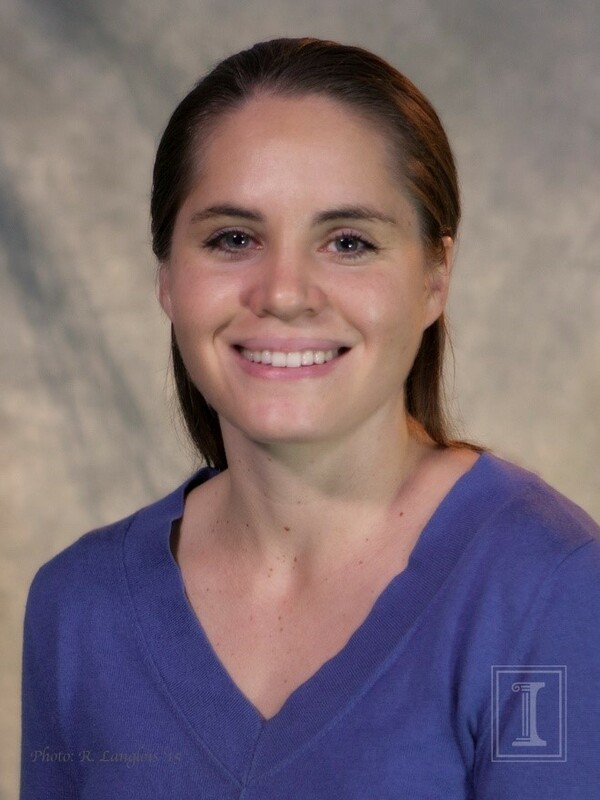 Life of the Mind is a semi-annual lecture series that features a distinguished University of Cincinnati faculty member presenting his or her work and expertise. The series includes intriguing insights from diverse perspectives and encourages faculty and students from across the university to engage in further discourse. The presentation is not simply a recitation of the faculty member’s work but promotes an informed point of view. Stephen Meyer specializes in early 19th-century opera, film music, music history pedagogy, music and medievalism and the history of recorded sound. He is the editor-in-chief of the Journal of Music History Pedagogy. Meyer’s presentation will build on his recently published work on transformations in the canon of works that served as the core of the music history curriculum for much of the 20th century. The hegemony of this canon — formed almost exclusively from the works of white, male composers — was challenged and at least partially deconstructed during the 1980s and ’90s. During these years, musicology was enriched by new critical approaches and methodologies that exposed the relationship between the historical canon and contemporary power structures. Ethnomusicology and popular music studies made new repertoires the subject of serious scholarly work, and the field seemed poised for a period of rapid expansion. And yet this expansion — at least insofar as it might be measured by an increase in the number of tenure-track positions allotted to musicology in North American universities — failed to materialize. In this sense, what might be called the “de-institutionalization” of musicology participates in the so-called “crisis of the humanities”: the seemingly inexorable shift of resources away from the humanities and towards supposedly more profitable and applicable disciplines. Meyer’s presentation will use musicology as a case example through which to ponder the ways in which the humanities might reposition themselves in a post-canonic, multi-cultural and transformational society. Sponsored by the Office of the Senior Vice President and Provost, and organized by the University of Cincinnati Libraries and Faculty Senate, the mission of Life of the Mind is to celebrate UC faculty research, scholarship and creative output and to foster the free and open exchange of ideas and discourse. Life of the Mind is free and open to the public and attracts a broad audience including UC students, faculty, staff and alumni, as well as people from the community. More information about Life of the Mind is available online at www.libraries.uc.edu/lifeofthemind/. To continue the conversation on humanities and higher education, attend the Taft Center Lecture “Humanities Education at the Crossroads: Why the Liberal Arts are Fundamental to Democracy” presented by William Egginton, Thursday, March 7 at 3:00p.m. 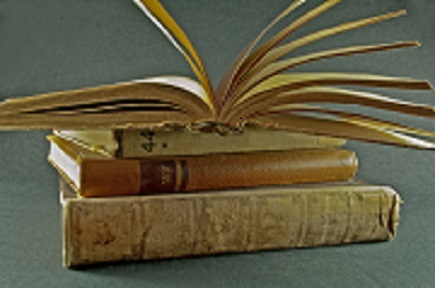 Come out Thursday, Feb. 21, 6-8pm, at the African American Cultural & Resource Center and be inspired by the stories of black women authors as they share insight on their journey to becoming published. This event is free and open to the public. This event is sponsored by UC Black Women on the Move and the University of Cincinnati Libraries. To RSVP, or for more information, contact Ewaniki Moore-Hawkins at mooreek@ucmail.uc.edu. Light refreshments will be served. The panelists’ books will be available for purchase. The children are either drawn as freckle-faced street urchins or as the clean-smocked offspring of the hoity-toity. The animals – a parrot, typically dogs – look on quizzically or crack wise. And the occasion being Valentine’s Day, the messages are about the lovelorn and the hopeful. These are the early 20th century postcards drawn by Richard Felton Outcault, a pioneer of the modern newspaper comic strip who gave America such literary figures as Buster Brown and The Yellow Kid. And advertising being what it was (and is), Buster and the Kid gave us books, shoes, coin banks, calendars, clocks, pencils, puzzles, and all manner of geegaws, selling the country on the all-American pastime of buying stuff. But the postcards deviated from the overall merchandising a bit, although Outcault’s newspaper employers and their agents certainly generated a lot of them. The holiday cards were something a little different, a reflection of the artist’s own attitudes to his comic creations. R.F. 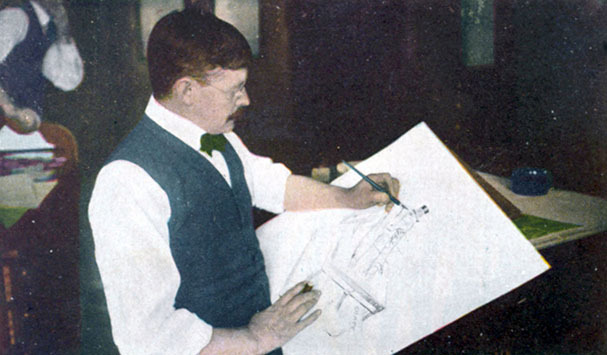 Outcault was born in 1863, hailing from Lancaster, Ohio. He came to Cincinnati in 1878 to attend the McMicken School of Design – which is now the Cincinnati Art Academy, though the University of Cincinnati certainly traces part of its heritage as well to the McMicken school, so in effect Outcault is a UC alumnus. He graduated in 1881 and began his employment as a painter of bucolic scenes in the massive safes constructed by the Hall Safe and Lock Company. Growing in local reputation, Outcault managed to land a job with the 1888 centennial industrial exposition in Cincinnati, one of the many local product fairs held in the 19th century, and which were begun as an outlet of the Ohio Mechanics Institute, founded in 1828 and now part of the University of Cincinnati’s College of Engineering and Applied Science. At the exposition he painted scenes for Thomas Edison’s electric light displays, parlaying that into a career on the east coast with trade magazines. Incidentally, while Edison was a telegraph operator in 1860s Cincinnati, he frequented the OMI library for his reading pleasure. By 1894, Outcault was drawing cartoons for newspapers and magazines, particularly the New York World, the New York Journal, Judge, and the New York Herald. It was during this time that he created his first famous character of his “Hogan’s Alley” cartoon, the Yellow Kid. By 1902, R.F. 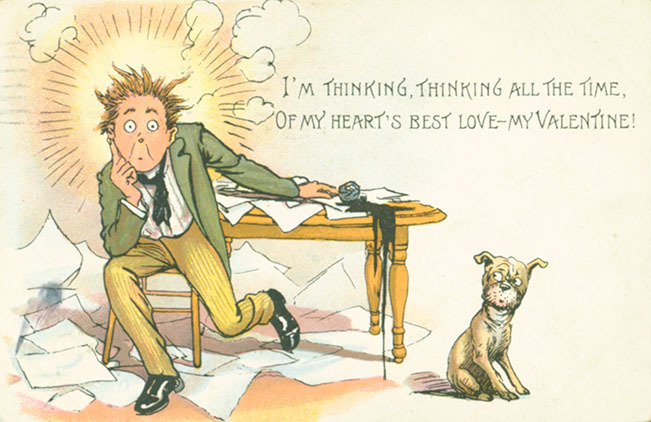 introduced his famous Buster Brown and his faithful terrier, Tige. And, his personal style of using panels and dialogue balloons became a standard in cartooning. But those strange Valentine cards? 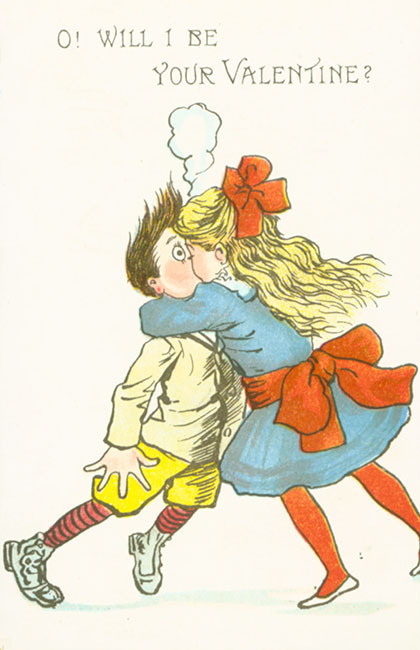 They are unlike the sweet and lovey-dovey kids’ valentines of the late 20th century. 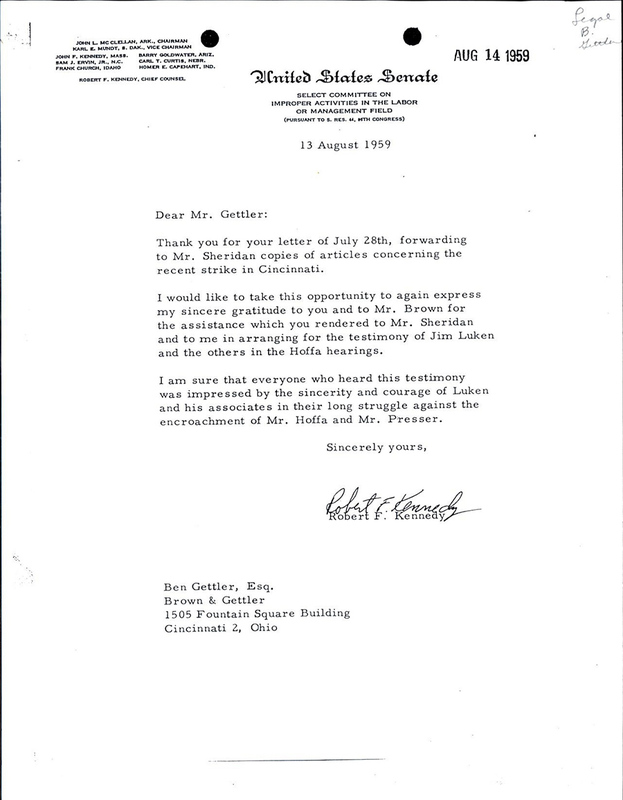 Instead, there is an edge to Outcault’s art, a bit of an insult here and there, and more rejection than true love. 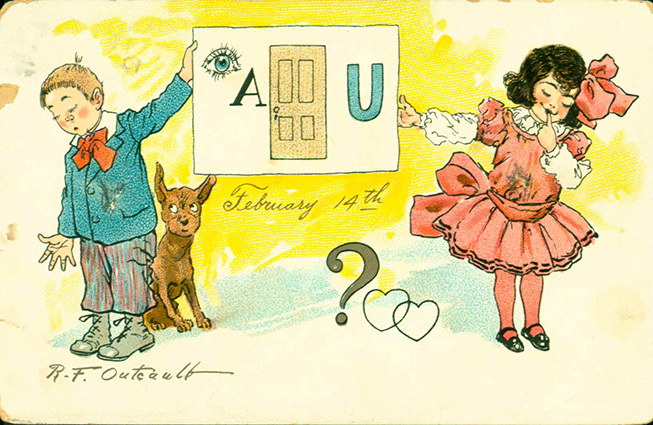 In a way, they are an outgrowth of the so-called “Vinegar Valentines” of Victorian America. 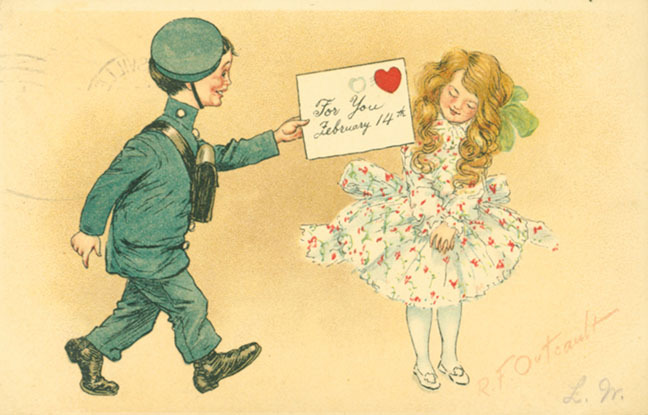 Vinegar valentines were sarcastic and insulting, greetings designed to reject the offers of true love. 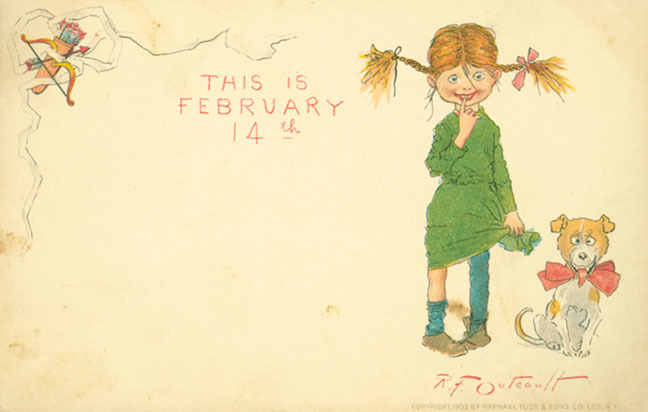 Competing with true romantic valentines, these little missives of misanthropy usually were sent anonymously to those one disliked, be they flirtatious bachelors or suffragists. 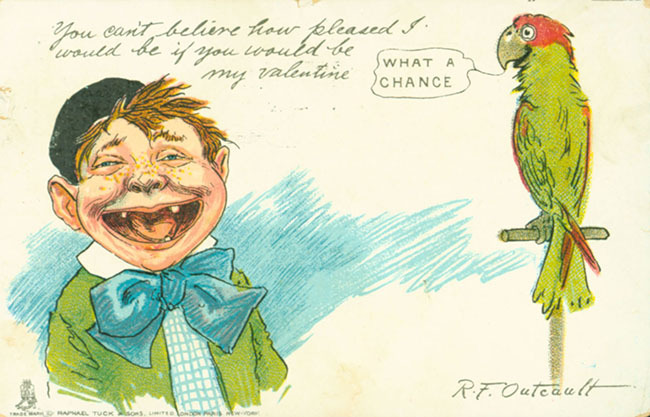 Outcault’s cards resemble them in a natural progression, one supposes, from invective to just strange little takes on the whole idea of Valentine’s Day. For R.F. 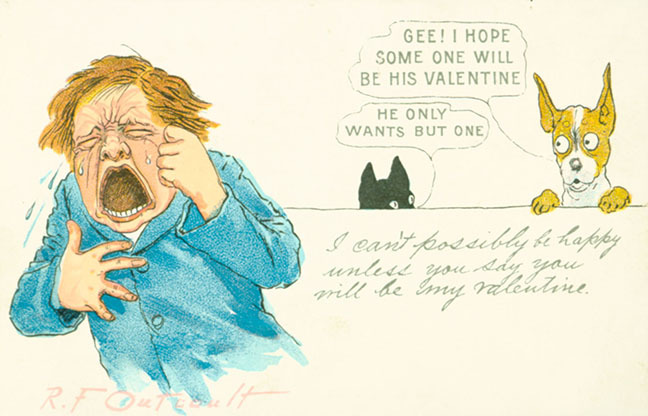 Outcault, his valentine postcards were done in his typical style and represent another aspect of what was a long and productive cartooning career. Retiring from the hubbub of daily newspaper work, he spent the last decade of his life quietly painting and died in 1928. It was hard for me to really conceptualize the true narrative power of song until I was reorganizing the Virginius C. Hall Jacobite Collection this week. As I was arranging a stack of books, I saw one that caught my eye. The spine read: The Scottish Jacobites and Their Songs and Music. 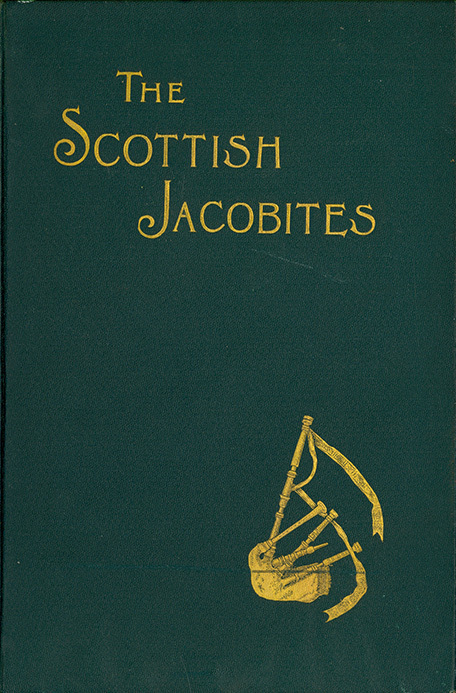 Written in 1899 by Thomas Newbigging, the book recounts in detail not only the history of the Jacobite movements, but also their rich musical history. Though I’ve never really had any musical talent (except some early experiences with the recorder), I thought it might be interesting to pursue some further research on the topic. Sure enough, there were further resources on the musical stylings of the Jacobites, and I decided to dig in! Though in this post I’ll only be referencing Newbigging’s book, I’ll include a reading list of some other books I found here at the ARB that focus on the Jacobites’ music and song. As I read further into Newbigging’s analysis of the songs, I realized how truly important music was to the Jacobites as they pursued their quest to return King James II and VII to the throne, and restore the power of the monarchy to the House of Stuart. The Jacobites were steadfast in their goals; they believed that James’ removal from power was an illegal move, and that he was their rightful ruler. Though the Jacobites were ultimately unsuccessful in their attempts to restore the House of Stuart, their music lives on and preserves their history. A new shipment of concrete poetry books has arrived in the Robert A. Deshon and Karl J. Schlachter Library for Design, Architecture, Art and Planning (DAAP). Titles by John M. Bennett, Jim Leftwich, Robin Crozier, César Figueiredo, Serge Segay and others. Make an appointment with Interim DAAP Library Head Elizabeth Meyer or librarian Andrea Chemero to view them. A few new acquisitions have been added to the Oesper book collection. Click here to access the November-December 2018 list. For more information about Oesper and the apparatus museum, click here. If you have any questions about this collection, contact Ted Baldwin, Director of Science and Engineering Libraries, at Ted.Baldwin@uc.edu. Check out the new science books that have been added to the Chemistry-Biology and Geology-Math-Physics Libraries. 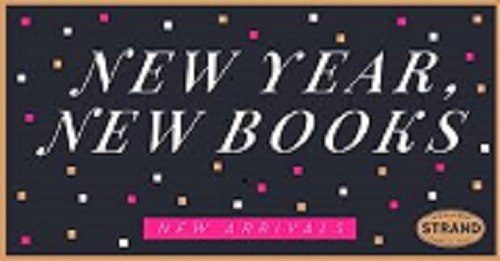 Click here to access the November-December 2018 list. If you have any questions about these books, contact Ted Baldwin, Director of Science and Engineering Libraries at Ted.Baldwin@uc.edu.